Looking for somewhere to celebrate your special occasion? Whether it be a wedding, birthday, perhaps climbing your last Munro or simply a friendly get together, the dining room seating up to 45 covers is the perfect place. 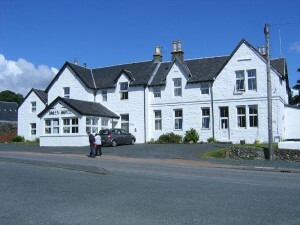 The hotel has 2 well stocked bars and the popular bar lunch and supper menu is available daily. Light snacks and refreshments are available all day. The hotel is happy to accept pets.